Even when a religious perspective is brought to bear, it is often couched in terms of the right to life. That’s an important perspective, and many faith leaders have begun to talk about gun reform as a pro-life issue. But that insight doesn’t advance the discussion very far, since people may disagree sharply on whether fewer guns overall or more guns in the right hands will better safeguard the right to life—which leads right back to the public policy debate. What Christians need, I believe, is a deeper grounding in what our faith in Jesus Christ means for the issue of gun ownership. I would summarize my perspective as follows: what we should be committed to wholeheartedly, as individual Christians and as the Church, is the mission that Christ has entrusted to his followers; and there is no part of that mission for which a gun is necessary or even helpful. What is the mission that Christ has entrusted to us individually and as a Church? 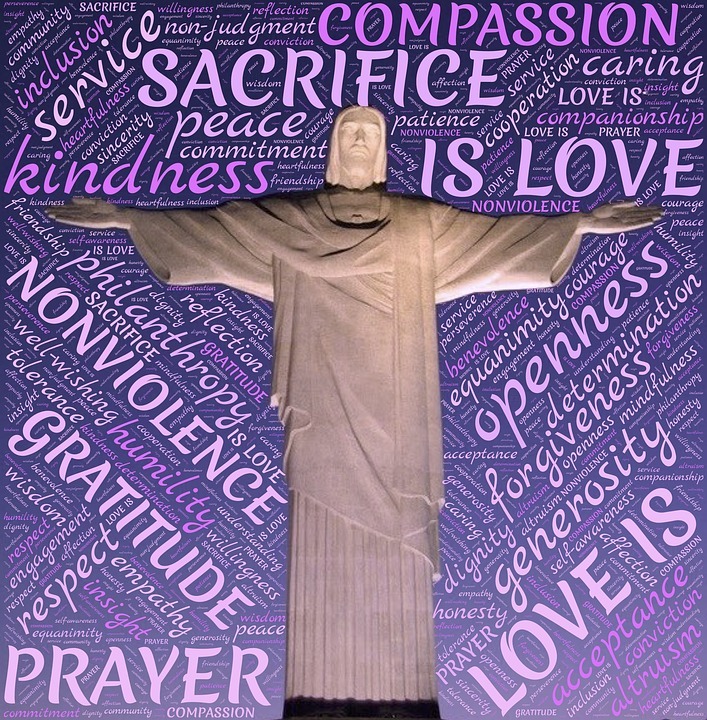 It is to love God with all our hearts, souls, minds, and strength; to love our neighbors as ourselves; and to love one another as Christ has loved us (Mk 12:30-31; Jn 15:12). It is to be peacemakers (Mt 5:9). It is to feed the hungry, give drink to the thirsty, welcome the stranger, clothe the naked, care for the sick, and visit the imprisoned (Mt 25:31-46). It is to make disciples of all nations, baptizing them and teaching them to observe all that Jesus has commanded us (Mt 28:19-20). And what are Jesus’ commands that we are to teach others? That not only are we not to kill, but we are not even to be angry with one another (Mt 5:21-22). That, if attacked, we are to turn the other cheek (Mt 5:39; Lk 6:29). 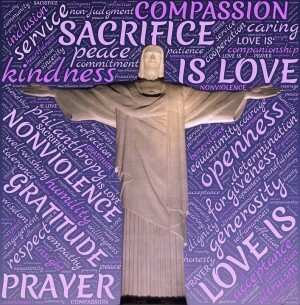 That we are to love our enemies and pray for those who mistreat us (Mt 5:44-45; Lk 6:27-28). That if someone takes what is ours, we are not to demand it back (Lk 6:30). It seems obvious to me that having a gun would not help us in carrying out any part of this mission and would likely be detrimental, leading us to actions that directly conflict with Jesus’ teaching. But don’t we have a right to self-defense? 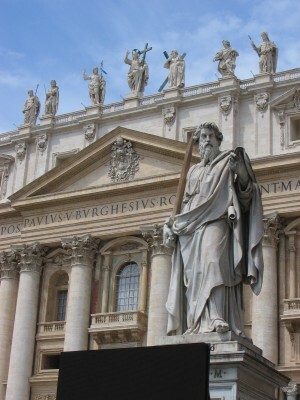 The Catechism of the Catholic Church says we do (para. 2263-2264). But that idea is based on natural law reasoning, not Jesus’ way of nonviolence. He rejected any use of force, even in legitimate self-defense, telling his would-be defender in the Garden to put away his sword (Mt 26:52). He taught that whoever wishes to save his life will lose it, but whoever loses it for Jesus’ sake will save it (Mk 8:35). And he told us not to fear those who can kill the body but not the soul (Mt 10:28; Lk 12:4). Thus, in following Jesus’ teaching and example, Christians are called to give up whatever natural right to self-defense they may have. The early Church understood this clearly. For the first few centuries, Christians refused to use force to defend themselves or each other, following Jesus’ example of nonviolence, even in the face of unjust persecution. In imitation of their savior, they preferred martyrdom to defensive violence, and God was able to use their faithfulness to build the Church. Jesus’ way, and that of the early Church—and of later followers such as Martin Luther King, Jr.—is to overcome evil with good (Rom 12:9-21) and to suffer violence if necessary, rather than inflict it. So what am I as a Christian to do if someone breaks into my house? I am to love that person as Jesus loves him. If he is hungry or thirsty, I am to give him something to eat or drink. If he wants to take what is mine, I am to give it to him. My property is not worth more than his life. My having a gun in that situation would likely lead me to act out of fear or anger in a way contrary to Jesus’ teaching and example. Not having a gun would, I hope, lead me to pray at that moment for a way to defuse the situation (cf. Mt 10:19), so that none of us, including the intruder, would come to any harm. There are many real-life examples of such outcomes. But what if someone is being attacked? Doesn’t my obligation to love my neighbor require that I come to his or her defense against the attacker, even using lethal means if necessary? Yes, as to coming to my neighbor’s defense; no, as to using lethal means. In this situation, I have two neighbors I am required to love, both the one being attacked and the attacker. Their lives are of equal worth. If I cannot calm the situation, I may need to interpose myself between the attacker and his victim, accepting the blows intended for the latter. But shooting the attacker would not be loving him. Again, the example of Jesus and the early Church is instructive. When the crowd brought to Jesus the woman caught in adultery, wanting to execute her on the spot, Jesus didn’t brandish a sword and threaten to run it through anyone who would stone her. 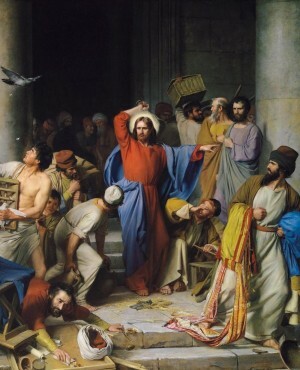 He appealed to the crowd’s consciences and defused the situation nonviolently (Jn 8:3-9). And when the early Christians were arrested, their brothers and sisters in faith did not come to their aid with force; it appears they instead resorted to prayer (see Acts 4:1-3, 23-31). Most people reject this way of thinking because to them it sounds naïve and unrealistic. But if Jesus is who Christians profess him to be—the way, the truth, and the life, the second person of the Trinity, our Lord and our God—who are we to substitute our limited human understanding of what’s realistic for God’s loving plan for humanity as revealed in Jesus? In my view, for a Christian to rely on a weapon for protection, rather than the power of the resurrection, would be to display a profound lack of trust in God’s word. Conversely, if we act in accordance with Christ’s teaching, we can have confidence that God will protect us, whatever the temporal outcome (see Ps 27:1-3, 118:6). especially when it includes a willingness to kill, is inimical to a life of faith. This perspective does not resolve the debate over what gun-related policies should be enacted. Even if no Christian owned a gun for self-defense, others may choose to. 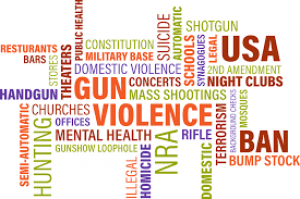 All Americans should work together to reduce the prevalence of gun violence. But if the three-fourths of Americans who identify themselves as Christian shared the conviction that following Jesus’ way of love is the best response to gun violence, there would be a lot less of it. The views expressed in this essay are the author’s and not necessarily those of Pax Christi or St. John Neumann Church. For a PDF version of this essay, click here.